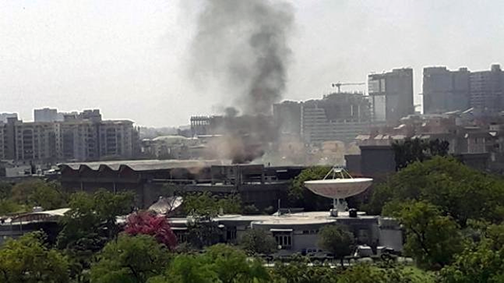 A fire that broke out in the Space Applications Centre (SAC) at the ISRO campus in Ahmedabad, India, last Thursday — fortunately, there were no serious injuries, but the fire did cause a serious setback to one of the ISRO's most prestigious facilities. In a report by Rahul Shrivastava at the India Today infosite, 25 fire tenders from the Ahmedabad fire services were required to control the fire at the critical space laboratory, which was engulfed in smoke after the fire broke out. There were no casualties and the scientists at the site were safe. However, a young soldier of the Central Industrial Security Force (CISF) at the facility was admitted to a hospital due to smoke inhalation. Top sources at SAC said there was no damage to satellite payloads housed at the center. However, the fire did cause serious damage to the "antenna test facility" — some specialized equipment has been damaged. This ISRO hi-tech "antenna test facility" is of paramount importance, as antennas are the most crucial communication component in satellites. 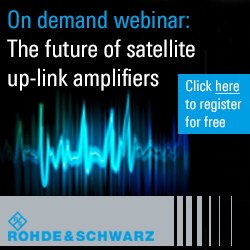 Moreover, the testing is also critical to space operations and requires very expensive and hi-tech equipment. While an inquest will be held to probe what caused the fire, the fire service department said that it could be due to a short circuit. However, the SAC sources added, "The police will probe the cause of the fire. The facility has a strong protocol to battle fire caused due to short circuits. That is why the probe will cover the possibility of foul play and even sabotage." Sources at SAC said the facility where the fire broke out on Thursday has been cordoned off. Once the fire department declares it safe, top space scientists will carry out an assessment to ascertain how serious the damage is.The space centers operated by ISRO have effective fire safety protocols and fires are rare. The last major fire incident recorded at an ISRO facility was in 2004 when six people were killed and three seriously injured in a blast at a plant making solid propellants at the Satish Dhawan Space Centre, Sriharikota. A top scientist at SAC, while speaking to India Today, said, "ISRO will carry out an assessment to improve its fire safety standards as accidents at a space facility can be disastrous. For example, say if there is a rocket weighing 300 tonnes, there is at least 250 tonnes of rocket fuel in it which is highly inflammable and volatile." Over the last few decades, almost every satellite launched by India, including India's Moon Mission — Chandrayaan-2, had components made at this center.